A Man’s home is his castle laboratory. My last post was about phones needing more apps – and here is a great one for the home. There are two things I believe every home should have – home automation and a PBX. However, my opinion (in this case) does not reflect the opinion of the majority. Both resi-PBX systems and home automation rise and fall in popularity, but never penetrate the mainstream. My home automation system is produced by HAI. It has sensors and control over numerous items in my home. Many of its tasks are fully automated or triggered by events such as ‘sunset’, Some activities require manual control such as the music system. System control is done through a wall unit, a desktop computer, or a cell phone app. 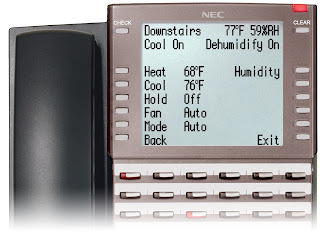 Recently, HAI and NEC announced an integration that enables phones on the NEC DSX phone system. This means that room phones can act as control units. Genius. The DSX system seems reasonably appropriate as a resi-PBX. The DSX is a digital key system with optional IP capabilities. It is more reasonable as a resi-PBX than my Digium Switchvox SMB UC solution which is way over-the-top for a home. Home users don’t really need much in a phone system – key-system line appearances, paging, intercom, and simple non unified voice mail will meet most residential requirements. As much as I like a PBX in the home, the PBX vendors and dealers aren’t so sure. Homeowners are terrible PBX customers because they don’t really value features and aren’t likely to pay for maintenance or buy high-end phones and options. Resi-PBX sales boil down to price. Factor in surprises with resi-wiring, difficult access to wires, and higher liabilities and you can see why dealers too generally avoid the resi-market. 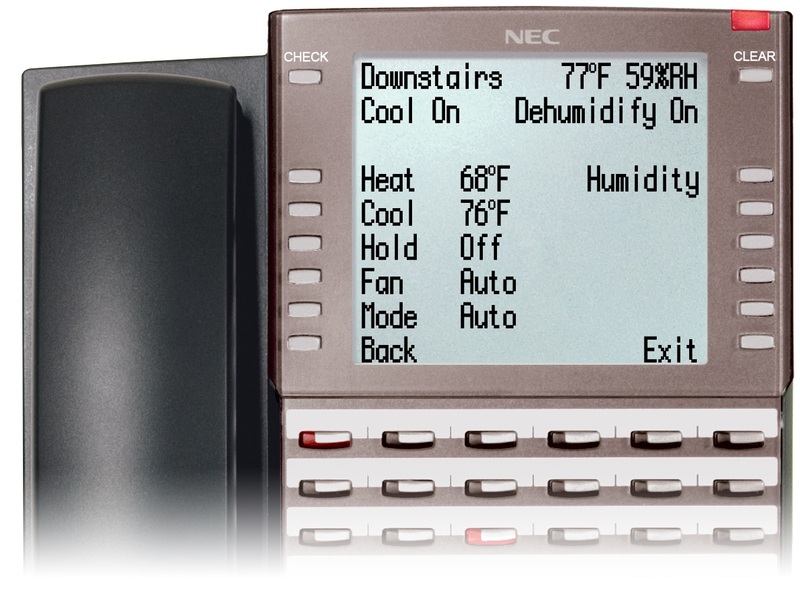 For NEC dealers, this integration may not be compelling enough to get into home automation. Althought it would be nice to to sell in that market not based on price alone, I don’t get the impression the DSX is very strategic for NEC. It didn’t come up at the recent NEC Advantage conference. Most likely ongoing DSX sales are not targeted to NEC Unified’s primary channel. Although I am sure some dealers will find it a natural extension of their business from SMB. Now for the home automation dealer the integration represents a much stronger opportunity. They are already in the home and dealing with the wiring. Phone systems are expensive, but so are control panels. An automation dealer can up-sell a phone system and deliver significant value with it (a controller in every room, with paging, intercom, and voice calling!). These dealers are not telephony oriented, so a basic key system digital solution is a good channel fit. Home automation on a phonetop makes a lot of sense. The next stage of evolution should be a more universal approach via an IP phone’s browser – subsequently followed by an hosted offering. The hosted offering would be just the interface – the controller would remain in the home.